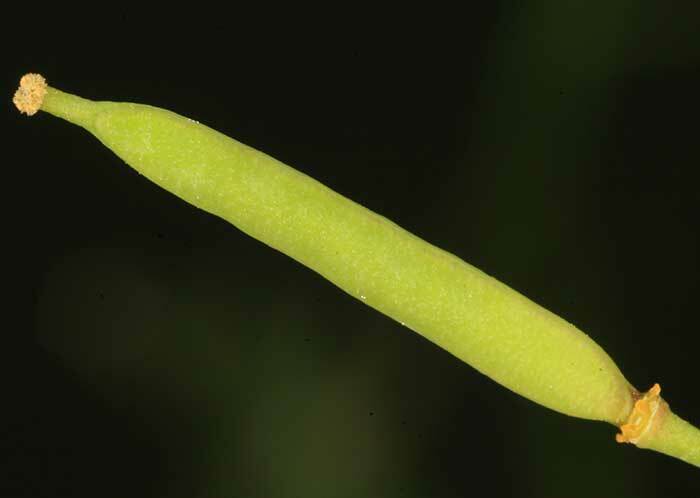 Creeping rhizomes can result in dense mats of foliage that smother infested land or crops. 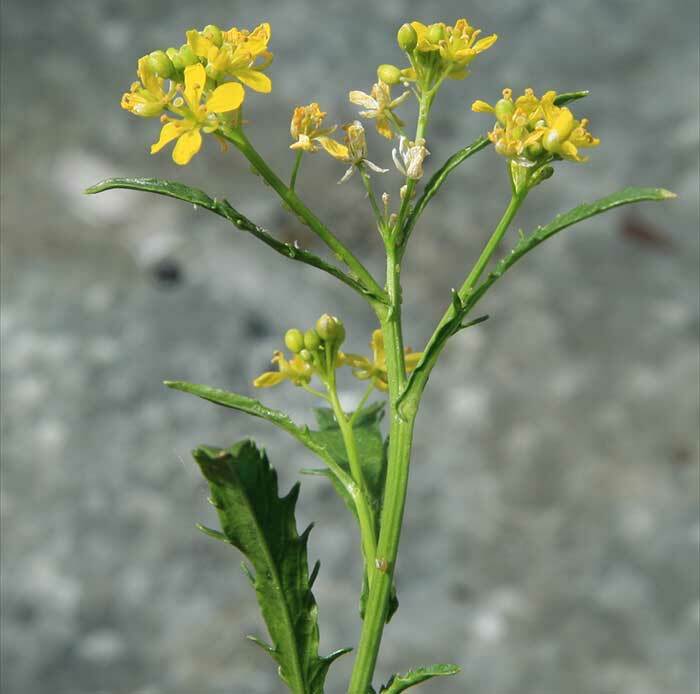 Marsh yellow cress or poniu (Rorippa palustris) is native to New Zealand, although there are also races of the same species that have been introduced from elsewhere. 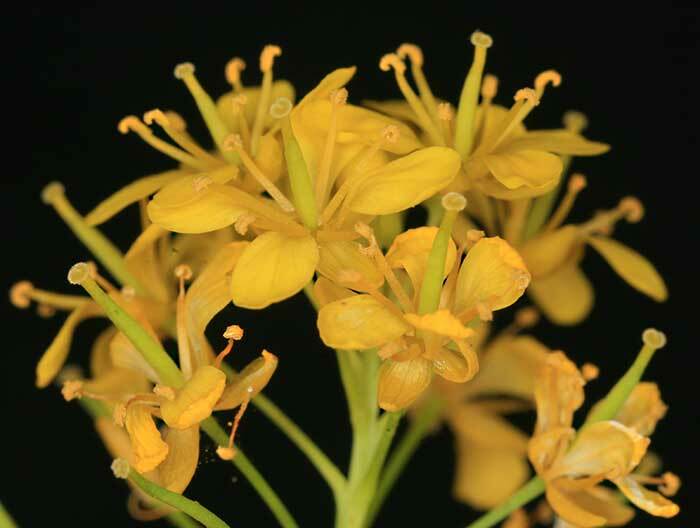 Flowers are paler, leaves less divided, and seed pods shorter and wider than those of creeping yellow cress. 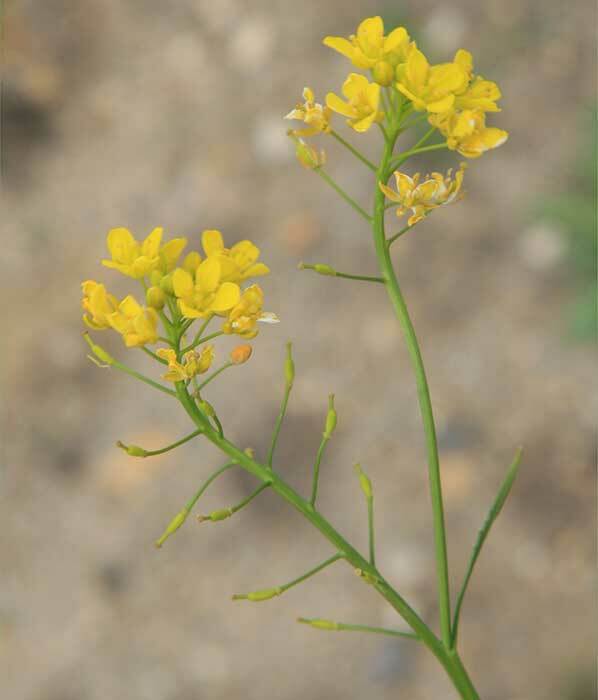 Marsh yellow cress is not as common but it is also found in wet places throughout the country. 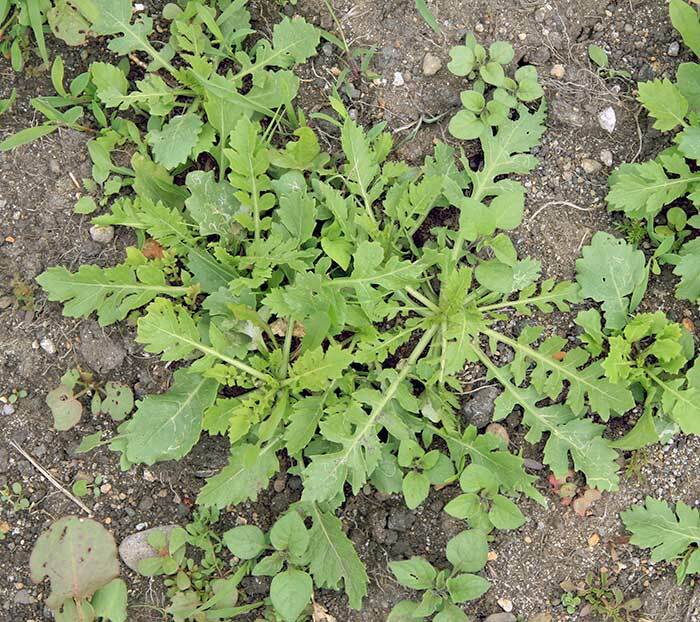 A common garden weed, also found in market gardens, under tree crops and on cultivated land (especially headlands), as well as in damp pasture and river beds. 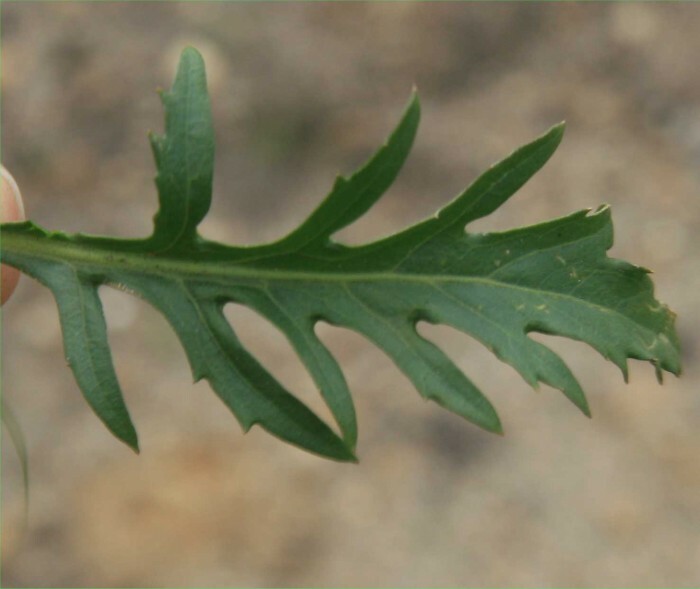 Rhizome fragments can be moved in plants bought from nurseries or elsewhere. Especially a problem in nurseries, from which it can easily be spread with ornamental plants sold in containers. The creeping rhizomes can create a thick mat of weed which completely smothers pasture. A common weed of waterways, wetlands, swamps, lakes, ponds and other wetter habitats in temperate and sub-tropical regions. 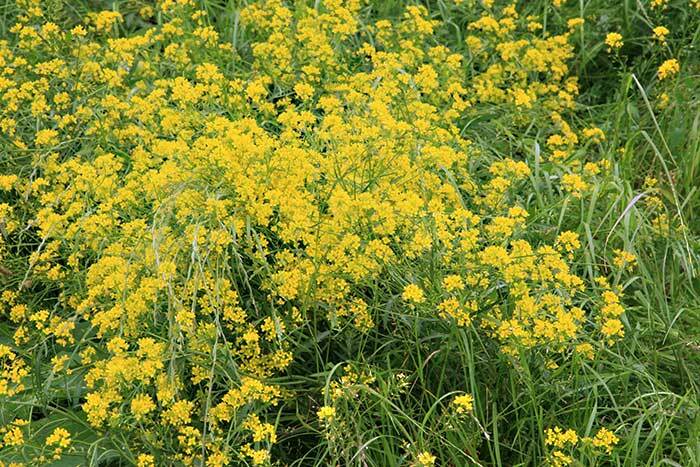 Pastures should be kept dense in autumn to prevent creeping yellow cress from establishing. This can be done by selection of appropriate grass cultivars or by grazing management. Glyphosate kills the top growth but regrowth takes place afterwards. Cultivation probably spreads the weed rather than controlling it.